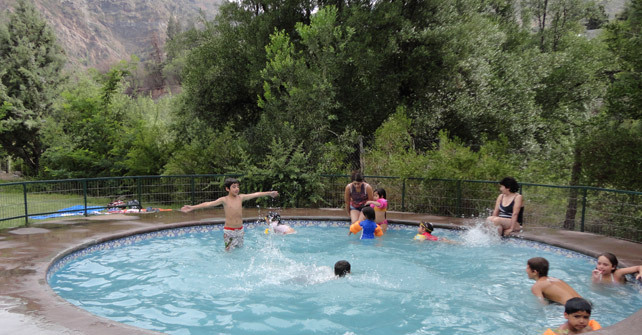 All of our visitors have access to our pools. We have a pool for adults with depths from 1.20 meters (4 feet) to 1.70 meters (5 feet 6 inches) as well as a smaller pool for children with a depth of 60 cm (2 feet); both pools are supervised by lifeguards during pool season. For those who come for the day, we provide dressing rooms, showers and bathrooms. 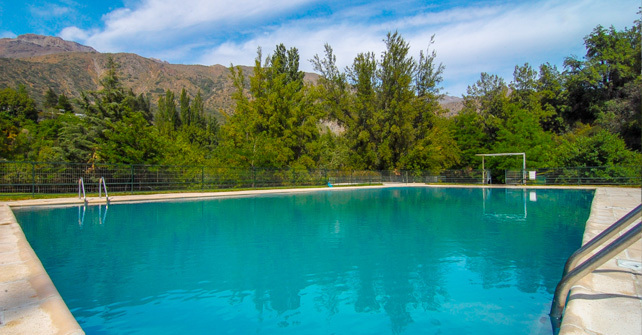 A place of unique beauty and privileged views where mountains, wild vegetation, flora and fauna and the Maipo river are the permanent stage for our visitors. 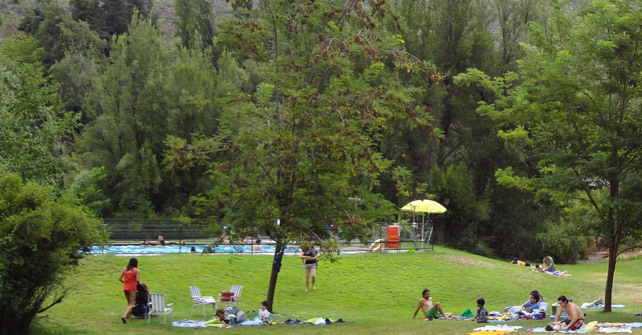 The charm and tranquility of the Cajón del Maipo, harmonizes perfectly with the infrastructure in order to combine relaxation and amusement for our visitors. - Pools Time: 10:00 at 18:00 hrs. - To enter the pool, must go through shower and wear sandals. 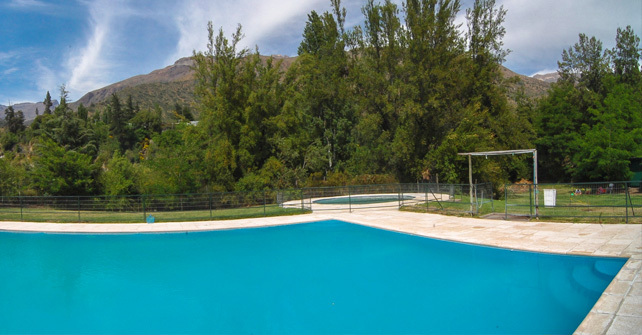 - Temporada de Piscina: 31 de octubre – 31 de marzo.